What is a limited company? Learn how to be one here. But as you grow your business and start taking on contractors or employees or start signing bigger contracts, you may begin to wonder whether you should be converting to a limited company. 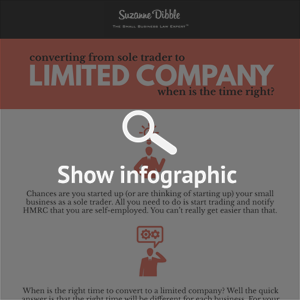 So when is the right time to convert to a limited company? Well the quick answer is that the right time will be different for each business. For your business, it might be the right thing to trade through a limited company from day one, or you may never need to trade through a limited company. So what we need to do is look at the reasons why you might want to trade through a limited company. There are a number of reasons but the two main reasons are tax efficiency and limited liability. If your business has profits of at least £20,000 per year then generally, financially it will be beneficial for you to trade through a limited company. If you want to use a calculator to check this for your business then click here – but remember that you will have certain costs as a limited company that you don’t have as a sole trader, so be sure to take these into account when making the calculation as to whether it is worth the additional costs and administration. 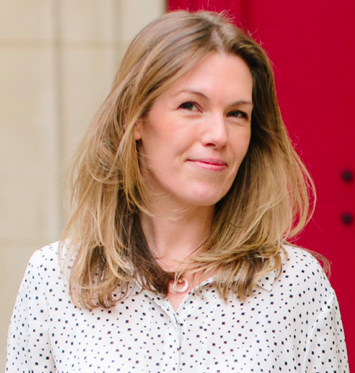 As a very general guide you should allow costs of about £500 to £800 for your first year of setting up a company and don’t forget to calculate your management time in making the transition. The limited liability status of trading through a company is a huge benefit. If you are trading as a sole trader and someone brings a claim against your business that is not covered by your insurance, then unless you have the necessary liquid funds to satisfy any judgment, you risk losing your personal assets – and that can include your house and your car. If however you are trading through a limited company, then unless you have given a personal guarantee or have personal liability as a director of the company for matters such as wrongful trading, your personal assets will be protected. If the company has insufficient assets to pay out, then although not at all something you would take lightly, your ultimate protection is to wind the company up and your creditors will have no rights against you personally. So if from the outset, you are going to be entering into high value supply or customer contracts or are likely to make profits of more than £20k in your first year, you should think very carefully about whether to start out by trading through a limited company. Or it may be that the type of industry that you are in (such as IT contractors) demands that you start off by trading through a limited company. If you started out as a sole trader then the question of whether you should convert to a limited company is something that you should review at least annually, preferably in discussion with your accountant and your lawyer. You may be reluctant to incorporate a limited company because of concerns about the cost and administrative obligations. Although it’s certainly a consideration, this will probably be outweighed by the benefits of the tax saving and the limited liability. You can now set up a limited company from as little as £4.99 through online agents and the only administrative requirements are to file accounts and to submit an Annual Return once a year (which costs £13 if you file it online). The main additional expense is in hiring an accountant to prepare your accounts but this can be done for as little as £100 a year. Another concern you may have about trading through a limited company is that the accounts are made public. A valid consideration but again not generally one that would cancel out the advantages of tax savings and limited liability. Finally, if you do decide to trade through a company, then you will be a director of your company and as a director, you will have certain legal obligations that if not complied with, could result in you facing a hefty fine or, in the worst case, a prison sentence. But you have to be doing something pretty bad to be fined or put in prison. To find out more about your responsibilities as a director, you can ask us for a free legal advice online. So what are your thoughts? 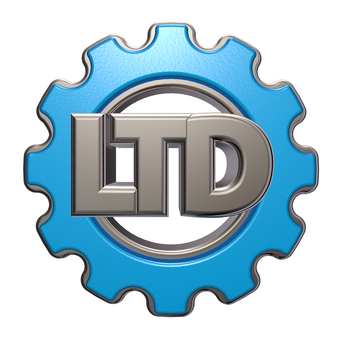 When did you convert to a limited company and what was your driving reason? Or are you quite happy being a sole trader? Write a comment below and let thousands of other small business owners benefit from your experience.